Zambia’s President Edgar Lungu has named 8 more cabinet ministers who were sworn in on September 27th 2016. 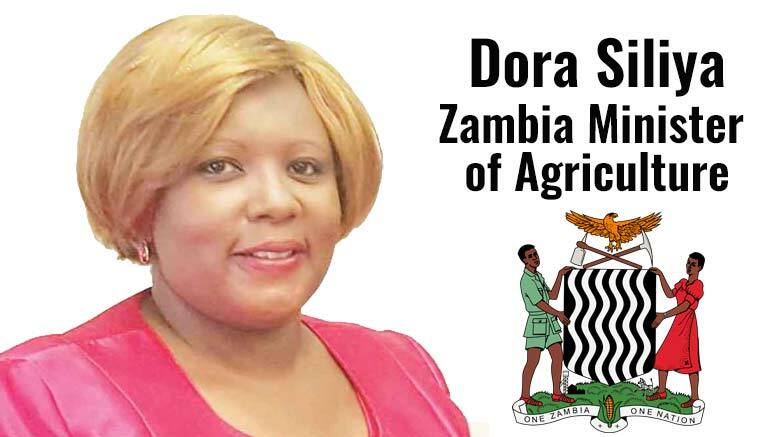 President Lungu has tasked Dora Siliya, former Energy Minister of Zambia, to ensure that national food security is a top priority. Up on the appointment, Minister Siliya announced that she will strive to make agriculture the mainstay of the Zambian economy. She will also aim to grow the volume of Zambian agriculture exports to regional markets to increase foreign exchange earnings. She also indicated that her Ministry will invest in research in agricultural development to maximize the country’s earnings from agriculture. During the electoral campaign earlier this year, President Lungu pledged on attracting agricultural investments to the country to decrease its dependency on mining and copper. Agriculture in Zambia contributes around 20% to the country’s GDP, 10% to its total export earnings and employs 70% of the Zambian labor force. Zambia territory is 75m hectares large, of which 58% (42m hectares) is classified as medium to high potential for agriculture production. Around 15% of this land is currently under cultivation. The Zambian agriculture sector comprises crops, livestock and fisheries. The country’s staple crop and most cultivated is maize.